Connecting C-Suite Executives and Founders year-round. 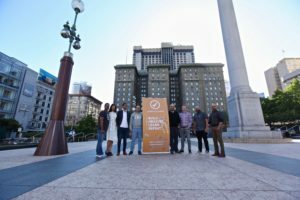 Launch Academy has been hosting events for the past 6+ years, promoting connections within the startup ecosystem, for companies of all stages and sizes. We’ve made our core focus to ignite meaningful conversations and relationships between founders, both locally and cross-border, that will last for years to come. 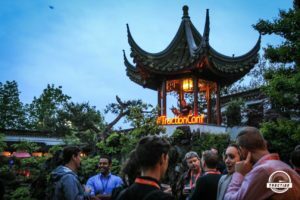 Traction Conference brings Silicon Valley experts North. The event brings actionable strategies and tactics for supercharging growth, straight from founders and leaders of some of the fastest growing tech companies like Uber, LinkedIn, Eventbrite, Google, Twentieth Century Fox, Reddit, Github, New Relic, Box, SendGrid, Grammarly, Bumble and more. The event creates so many opportunities to network and get on a first-name basis with Fortune 500 leaders, high-growth startup founders, leading investors, and major media. Quarterly CxO Dinners and an annual pre-Traction CxO Summit bring together C-Suite Executives from all over North America, bridging the gap for founders looking for cross-border networks. In 2018, CxO events have been hosted in Downtown Vancouver, Downtown San Francisco and on the top of Grouse Mountain, with more to come!